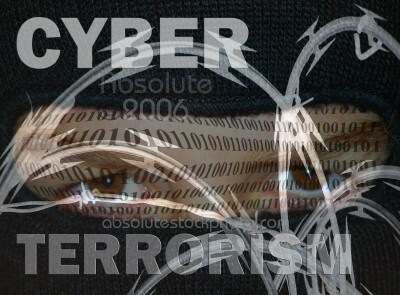 Cyber terrorism among greatest challenges of today for India ! Your credit card number and its code is the new currency in contemporary world where thieves skim the money right from your banking account. It is the new world where the cyberspace poses threats along with its immense impact on how we live and conduct our day-to-day business - it is the topic of a two-day seminar on cyber crime that started at Bhaikaka Hall near Law Garden on Saturday. Organized by the Institute of Engineers ( India), Gujarat State Centre in association with DST, Gujarat Electronics and Software Industries Association and CSI, the seminar will see discussion on real-life cases and legal hassles where experts from various fields will share their thoughts on the subject. "With the reach of internet, it is a high time to educate ourselves about the threats looming large and find a solution for it," said Bharat Patel, convener of the seminar. Despite significant advancement in technology, cyber terrorism is one of the greatest challenges for our society," said Ravi Saxena, additional chief secretary, science and technology department. Abhilash Sonwane, VP-product management, Cyberoam, shared some cases that threw lights on how the cyber space can be manipulated easily and how the fraudsters use the technology for their advantage. "The seminar is aimed at discussing the newer trends and the technologies that could be deployed to tackle the menace," said Jaimin Shah, co-convener and president of Gujarat Electronics & Software Industries Association ( GESIA).
" The seminar will bring together students of computer science field to develop action plans for the successful implementation of workable ideas and proposals.